When I lived in Dubai I got into regularly having my nails done and rather shamelessly, I also got used to weekly blow drys. Well I couldn’t possible do those things myself could I!? … I’m joking! I put it all down to a mixture of a tax free salary and being sucked into the Dubai expat lifestyle. When me and Pete moved back to the UK I decided to commit to doing as much of my beauty regime myself as possible. I’ve not had one single blow-dry, in fact I’ve not even had my hair cut since being back – something I do need to book as I’ve done the whole DIY fringe and that was not a good look for me! I’d also been painting my nails myself but this, well this just wasn’t working. No matter what nail polish I bought and no matter how much base or top coat I applied, my nails always chipped. I’m one of those people that when one nail chips I have to pick off the rest and that’s just the worst! 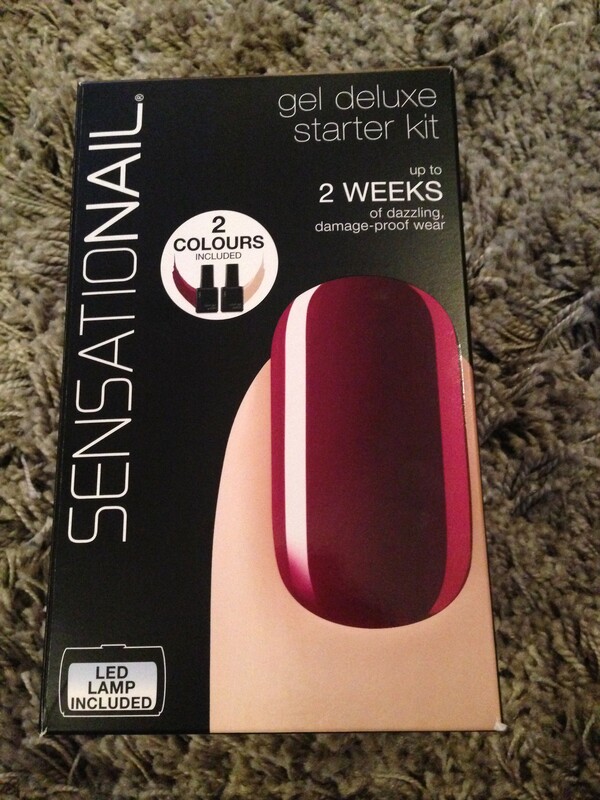 So for Christmas (yes this is a very late post) my mum bought me a Sensationail Kit I couldn’t decide which one to ask for as they were all rather expensive and quite frankly a lot of them had pretty bad reviews. I didn’t want her to waste money on something that I’d try and find to be rubbish, but this one looked fab and had the best reviews. It was on sale in Boots for £45 down from £105 so I thought why not? At least if it is crap, she hasn’t spent an arm and a leg on it! The kit was so easy to use. Of course it’s always optimistic to expect to have perfect salon nails in 15 minutes as the product promises so keeping my expectations I was pleased with a 30 minute gel manicure! File, shape and buff the nail using the two-sided buffer, then clean the nail using the lint-free wipes with gel cleanser. Let that air dry for 15 seconds and then apply a layer of gel primer sparingly. 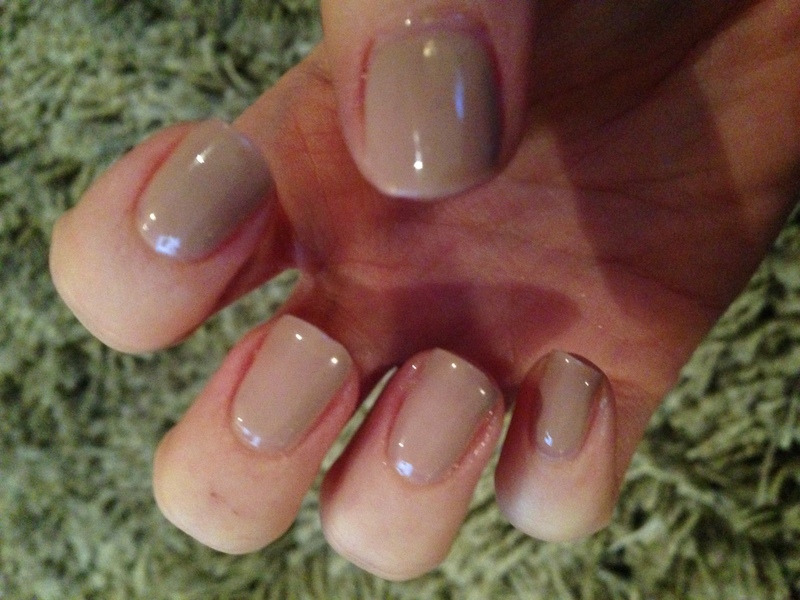 Next apply a THIN layer of gel base and top coat. I stress the word THIN as I made the mistake the first time of applying quite thick layers and having to spend more time with my nails in the LED lamp than necessary. This needs to be capped – i.e. make sure to cover the edge of the nail. ‘Cure’ the nail in the LED lamp for 30 seconds. Next apply two layers of the gel colour in the same way as the gel base and top coat, curing in the LED lamp for 60 seconds each application. Apply one final layer of the gel base and top coat, cure for 60 seconds under the lamp and then wipe clean using a lint-free wipe and gel cleanser. Now although it really was as simple as that, it certainly wasn’t as quick as that. Of course if, unlike me, you apply THIN layers each application then each nail will only need 60 seconds, however with the size of the LED lamp, you have to do a kind of sequence of when to put certain nails in. I found it best to do both thumbs together, then my right hands 4 fingers and finally my left hands 4 fingers (I’m left handed so I always leave this hand till last). This makes the whole process a fair bit longer, but like I said earlier it was still really quick and easy! I didn’t take a picture of the Sugar Plum nails, but they were fab! Take my word for it! I applied them on Boxing day (Christmas day was too full of food, food and naps to think about nails) and after 6 weeks they were still there. Of course there was a bit of growth from the cuticle but they hadn’t chipped at all! I thought that this may have been because of the thick layers that I initially applied and the consequently long time I had to cure them in the LED lamp; but now with my application of the Taupe Tulip colour I again have no chipping after 3 weeks – and I took my own advice and went for thin layers! 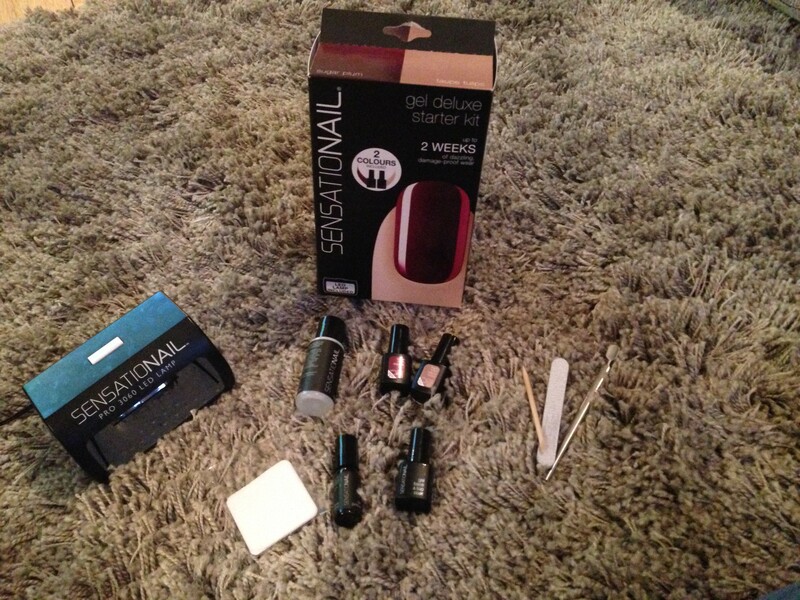 Overall the SensatioNail starter kit is fantastic! I would definitely recommend it and I think it’s now retailing at £69.99 so still a good price! I do wish that it came with more colours as they retail at around £12.50, but the kit included some vouchers for discounted gel colours so I’ll definitely use those! They are also offering 12 colours for the price of 8 which is rather tempting but I’m not sure I’d need that many … unless I wen for the glitter and french manicure options too? Ooh it’s just too tempting! It really is so long lasting! 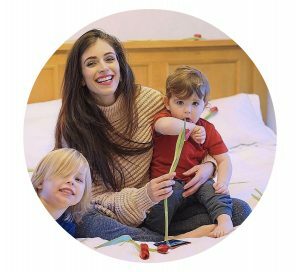 Fab for a mum on the go! I actually bought the same kit for my Mum for Christmas when it was on offer in Boots and only wish I could have afforded to treat myself at the same time. I’m lucky that one of my best friends lives around the corner and has the kit so will occasionally do my nails for me – my pedi lasted for 4 weeks last time! FOUR WEEKS! Amazing. Its fab! Yea if someone else can do it for you its always nicer, a bit of pampering! Ahh how fab! I need one of my friends to start doing nails!